It seems that the rumor mill has leaked another arrival to the library of Nintendo Switch games. It has been discovered that a Switch version of Persona 5 has been leaked via “Best Buy’s employee terminal”. Wario64 looked into the matter with someone, and has tweeted that this is the real Best Buy system, and that the pictures are real. Obviously, this isn’t an official confirmation from Nintendo, but rumors of this game coming to the Switch have been brewing for a while now. We’ll let you know of any further developments. Atlus teased an announcement for “P5S” for the 25th of April yesterday, the speculation for it to be a Switch port didn’t seem too unreasonable. This leak probably just sealed it. The more people get the opportunity to play this masterpiece, the better, so this is nice. Amazing game. I’ll gladly double dip. Awesome. Great game and I would gladly get it again for the Switch. Hopefully we will also find out more about SMT5 too. No but in all seriousness, I don’t think it’s coming to the switch. I also don’t want it to come to the switch tbh. Sony fans are cancer, if they see that, they’ll start a revolution. You don’t think so? I think adding Joker to Smash would be a bit strange without a Persona game even being on the platform. Considering Nintendo also told Sakurai to reveal Joker on the Game Awards was also a bit strange. However the fact that Persona 5 Royals (?) isn’t on Switch (so far) also indicates that it might not come. At the very least I HOPE that the game comes to the switch so the endless war about the Persona 5 series dies out. I just think it’s a bit too late for nothing to happen at all. Just bring a Persona game, I don’t care which one (as long as it’s good). Nintendo’s fanboys are just as bad, honestly. I remember when they were being all smug about getting Bayonetta 2 and PS/XB people “port begging” for it- what’s happening right now? People won’t stfu about wanting a Switch port for P5 under every Persona related tweet/article/post. That being said, before the P5S teaser for the 25th and the very well timed Best Buy leak right after, I was doubting the possibility too and definitely saw Persona Q2 as enough of a justification to add Joker to SSB. However, the leak seems legit and it wouldn’t be the first time for Best Buy to leak something ahead of time. It would also fall in line with Joker’s scheduled release for SSB. But of course, this is still not an official confirmation by any means, so it should be taken with a grain of salt, just like any rumour. It’s not true until it’s officially confirmed. 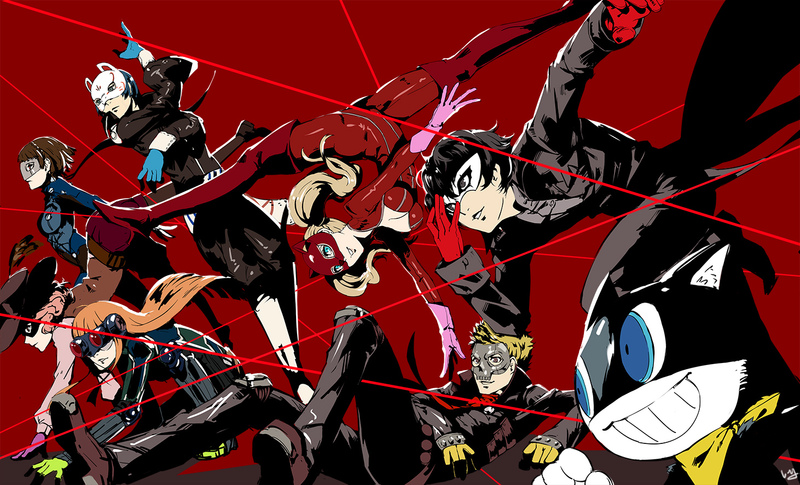 I don’t really care about the Switch getting P5 or not per se, you could replace the Switch with any other platform and I’d feel the same way about it, but I do want as many people as possible to experience this game, it’s a masterpiece in my eyes, and one of my top favourite games of all time. Lastly, my personal speculation would be, P5S is going to be a Switch port of the original P5, while the PS4 getting The Royals, the enhanced version à la P4 The Golden. But yeah, again, just speculations. We will probably get all the answers on April 24th + 25th, unless Atlus cucks us again with an announcement for an announcement of an announcement. Yeah, you pretty much sum it up perfectly. Also I have to agree with you on a personal level with the port begging stuff. It’s so atrocious and just exhausting seeing fandoms shitstorm each other time and time again because they get a game / don’t get a game. If it happens, then this is great. I’ve considered doing new game plus, but held off for news about this. Maybe I’ll replay it on Switch. Or trade P5 for P5R and go again.